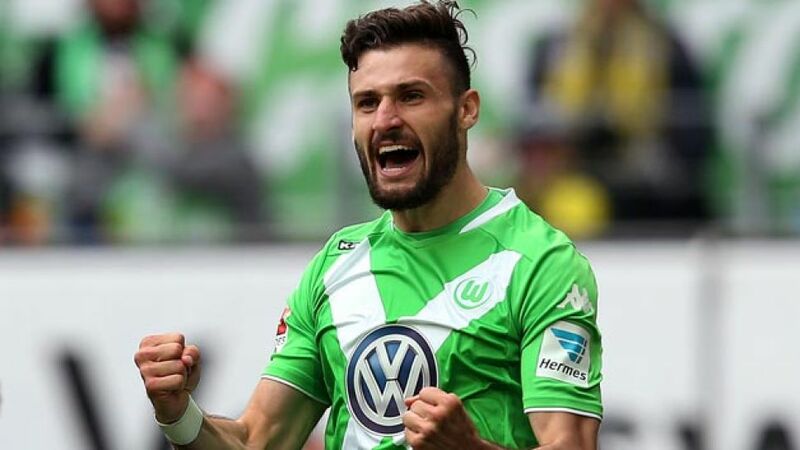 Wolfsburg - Borussia Dortmund's players lamented what might have been after slipping to a narrow 2-1 defeat at VfL Wolfsburg on Saturday, while the Wolves, delighted at ensuring they have now gone an entire league season unbeaten at home, insist standards will not drop for the final game of the campaign. Daniel Caligiuri: "Obviously we've secured our place in the Champions League, but we also want to make sure we finish second - coming runners-up feels a lot better than coming third. We've been in this position for the whole of 2015 practically, so we'll focus on staying there for the last game of the season. If you have Kevin [De Bruyne] on your team, you just have to make the runs and he'll put the ball on your foot." Bas Dost: "I'm really happy that we've won today. We ran a lot and it was hard work, and I had chances to score a couple before half-time, but you saw how much we put in today. The season's almost over but every player still gave so much, and we've not lost a home game this season, which is really impressive. Kevin had some pressure on him when he came here, but he's an outstanding player and you can see how much quality he has." Kevin De Bruyne: "It was a really tough game, played at a high level by both teams, but I think we had a few more chances than they did and just about deserved it." Ricardo Rodriguez: "We're happy with how things went today because we played well. Now we have to make sure we win the last game and then things will be looking perfect." Kevin Kampl: "We said at half time that we'd need to be on our guard at set-pieces, and then we concede a goal like that straight after the break - that's obviously extremely disappointing. The goal knocked us off our stride a bit and and we couldn't create many chances after that, which is why we lost. It's unfortunate because I think we were the better team in the first half. After the first goal we came back into it well and we took control of the game, even if they did have some good chances. It's a shame as we really wanted to win it." Marcel Schmelzer: "Conceding the first goal like we did makes you sick - they're a strong team and it makes it that much harder to get back in the game. After that, I think we did well and played some really good football. Perhaps it's good that we've made all our mistakes in one season, but we have two more games to come and we need to do a lot better."